Opioids are prescription medications that relieve pain. They work by reducing the intensity of pain signals sent to the brain. They affect areas of the brain controlling emotion, which reduces the effects of a painful stimulus. Examples of opioid drugs include hydrocodone (e.g., Vicodin ®, Norco), oxycodone (e.g., OxyContin ®, Percocet ®), morphine (e.g., Kadian ®, Avinza®), codeine, meperidine (e.g., Demerol) and others. These are very real side-effects, so it is imperative to only use narcotic pain medications when absolutely necessary. Every year we see lives damaged and lives lost from opioid pain medications. There are safer alternatives that can be quite effective. 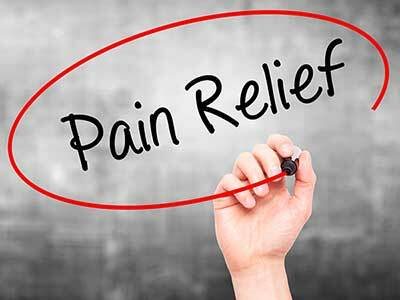 Of course, it’s important to know and treat the source of the pain, rather than mask it with narcotic pain medications—a tenet of naturopathic medicine. The Brannick Clinic of Natural Medicine can help you with pain control. In the case of surgical pain, we suggest you prepare for the surgery by making an appointment with us before your procedure. We can help you prepare for the surgery to speed healing and minimize pain. Homeopathic medicine works well with pain from trauma and surgeries. We also offer post-operative care and pain control to help you heal faster with less down time. Opiods are addictive in the same sense that heroin or nicotine is addictive. If you think it can’t happen to you, you’re wrong. Over time these drugs become less effective and you become more and more dependent. It’s not uncommon to need higher dosages to maintain the same level of pain control. Your body builds a tolerance for these drugs and abruptly discontinuing them will bring on withdrawal symptoms. It’s not uncommon to slowly reduce your dosage over several weeks to ween yourself from these powerful drugs.